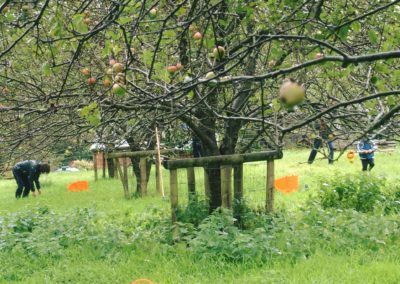 Reduce waste and get FREE cider! 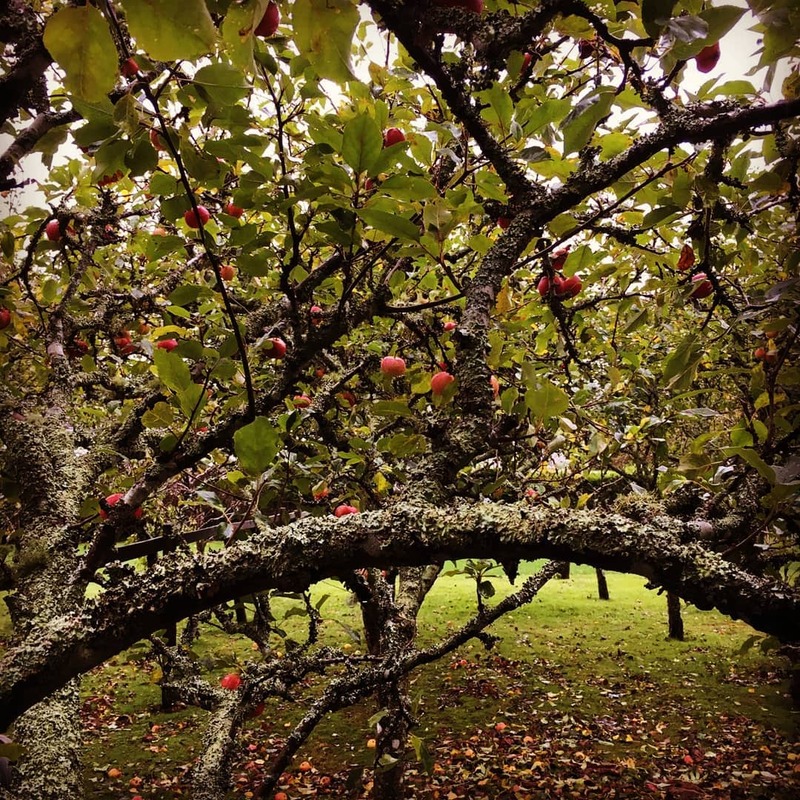 Wasted Apple Cider was born from a desire to reduce waste. 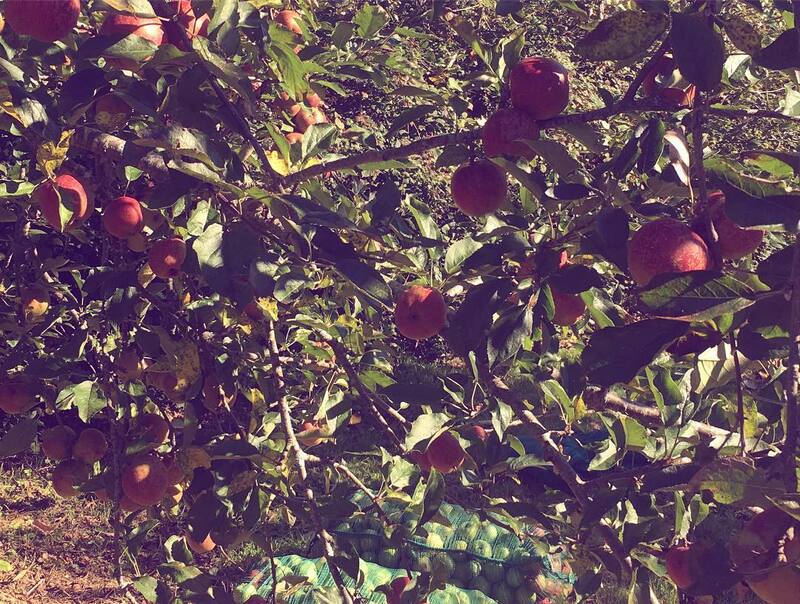 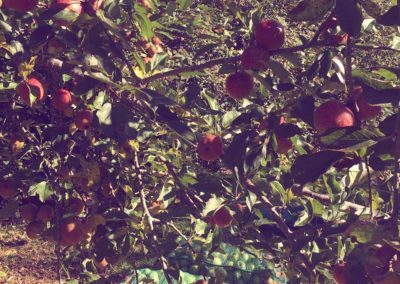 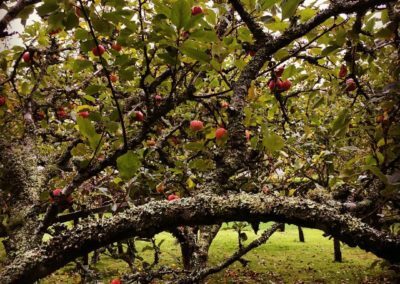 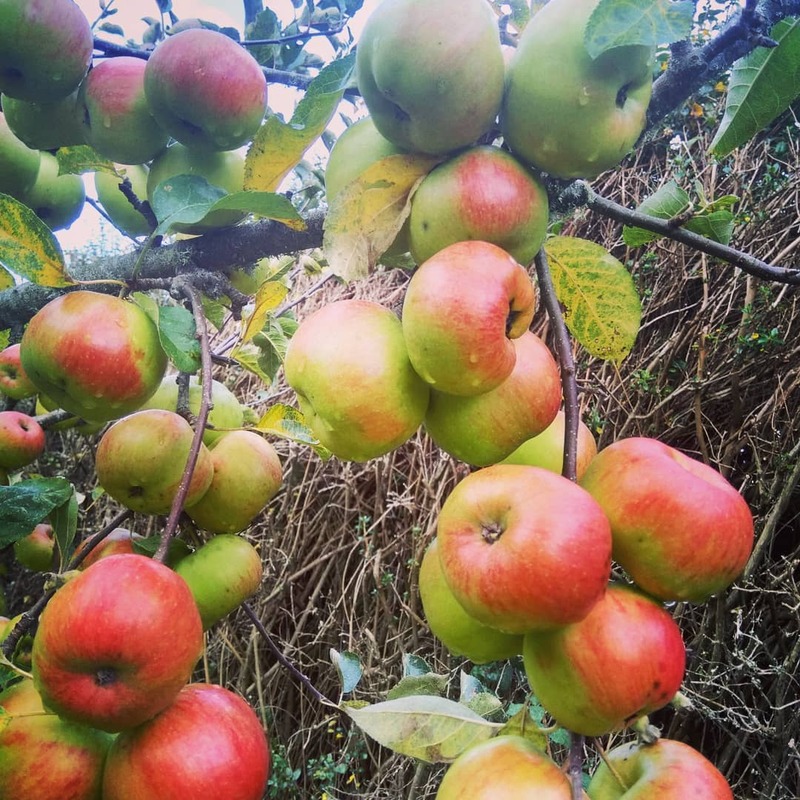 We saw beautiful apples in our neighbour’s orchard going to waste simply because he couldn’t use or give away the abundance of fruit that his trees were yielding. 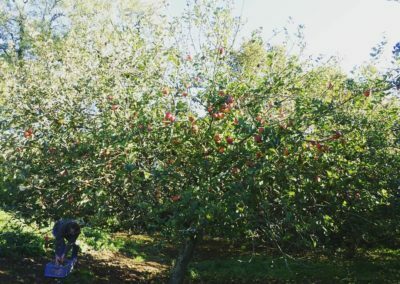 He happily donated his unused apples to us to make our first ever batches of Cider. 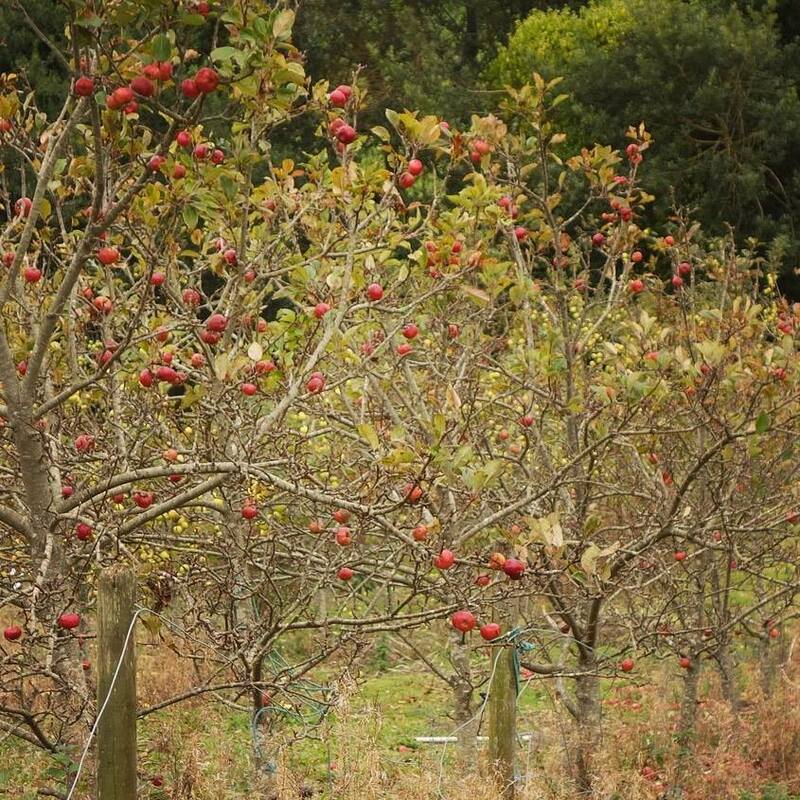 The Cider we made with these apples was good and very popular with friends and family. 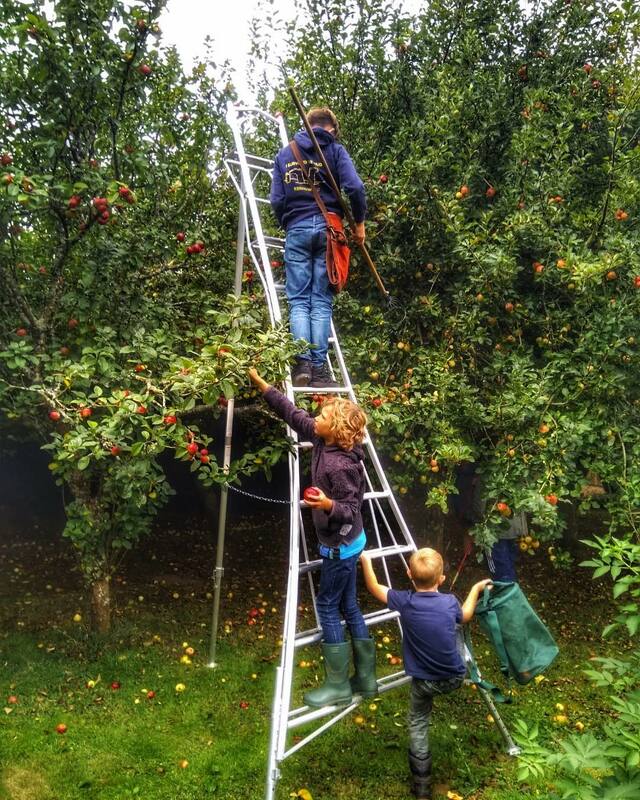 The Cider-making bug had taken hold and in 2014 we decided to test the water. 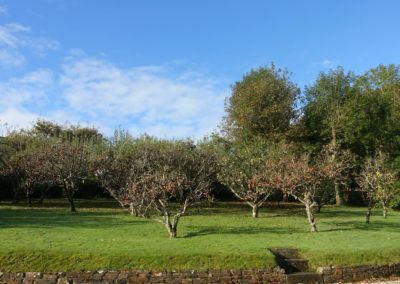 We put an ad for ‘wasted’ apples in a Cornish farmers magazine and the local paper, as well as on social media and were astounded at the positive response we received. 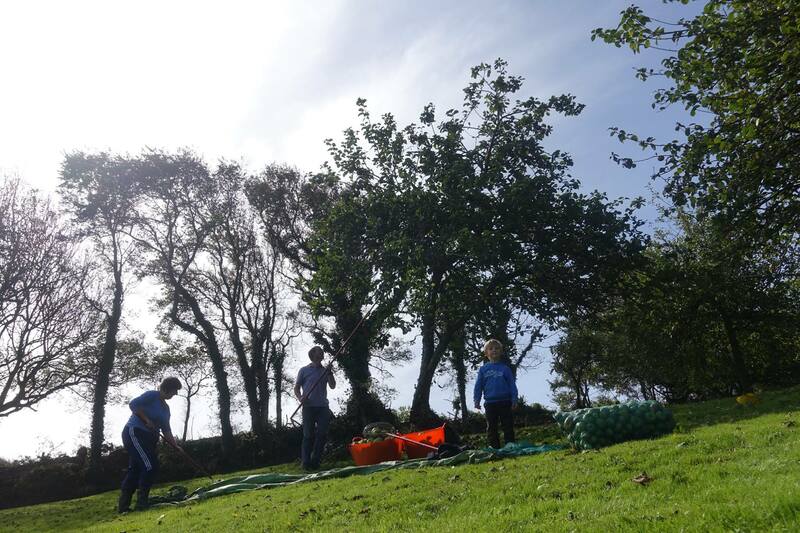 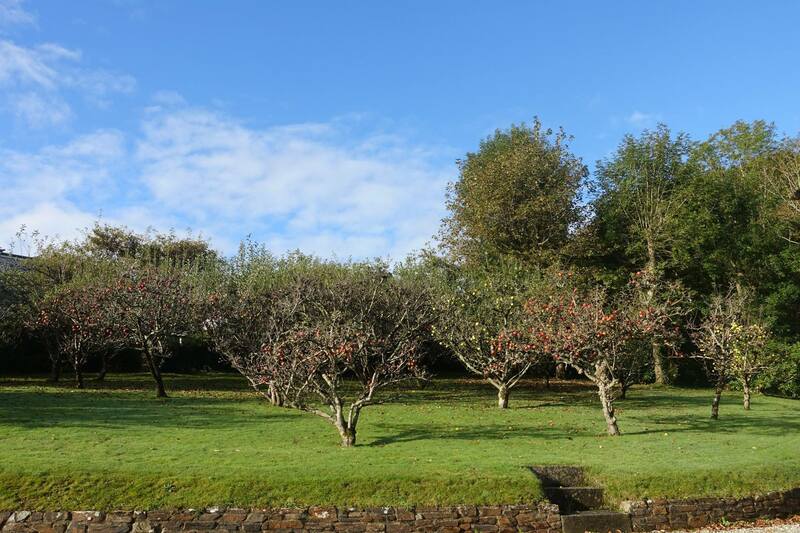 We discovered that there are many similar unused apple trees and orchards throughout Cornwall. 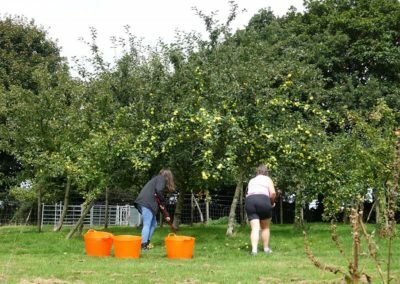 As well as the satisfaction of knowing that your donated apples are being used, we will give you some of our cider in return for your support. 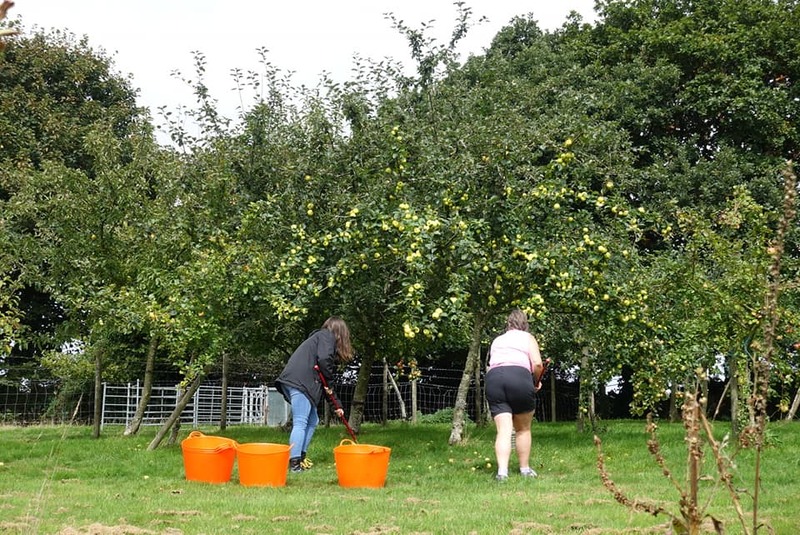 As a rough rule of thumb we give you 2 bottles of our bottle-conditioned Cider (dry and or medium dry) for every 25-30 kg sackful of apples you donate, up to 36 bottles. 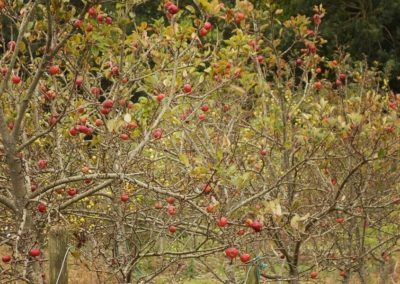 You will also be given our discount card which will allow you to purchase any of our products from us at a discounted price throughout the year (please note that the discount only applies to purchases made from Wasted Apple directly ). 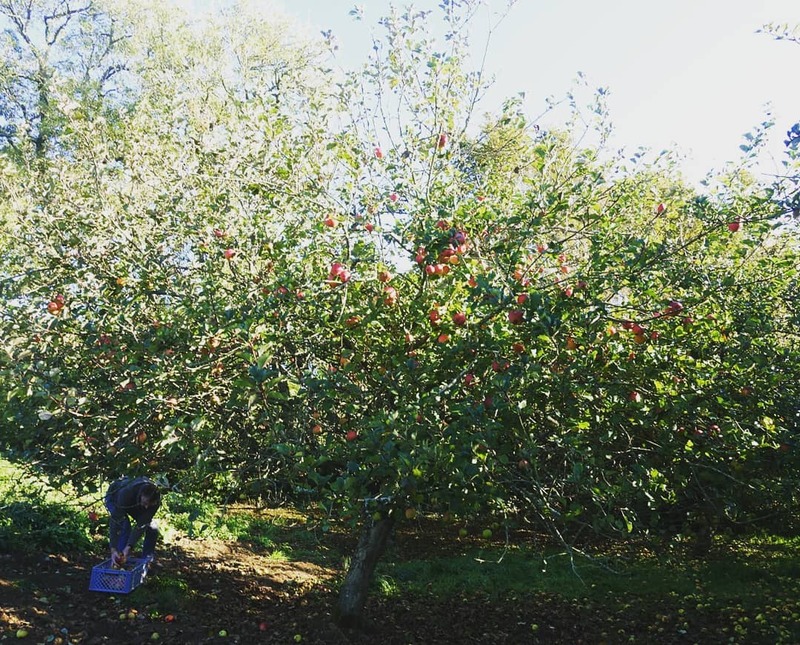 Simply contact us below to let us know where you are, how many apples you are likely to be able to donate and when your apples are likely to be ready to pick (they are ready when they are starting to drop or when they fall when the branch is gently shaken). 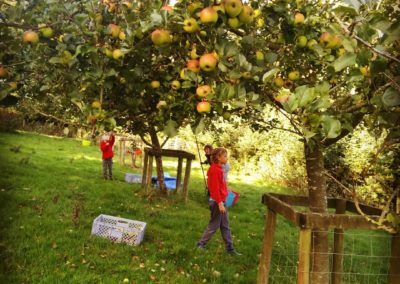 We can supply you with sacks for you to collect your apples in, and if you are able to drop them to us that would be great. 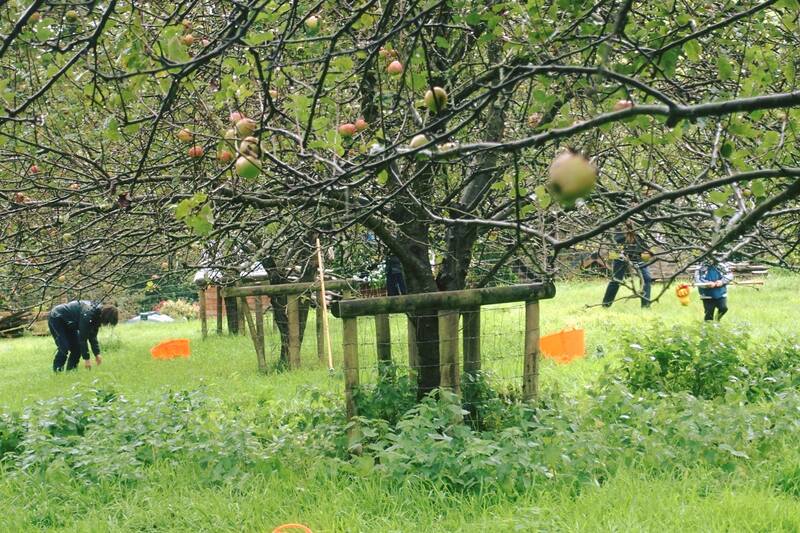 Alternatively, of course, we can pick up your collected apples. 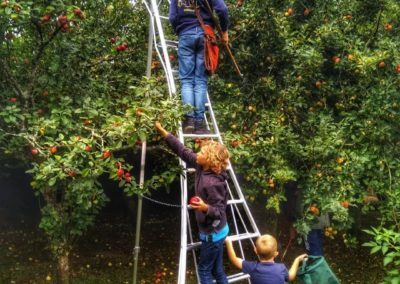 If you can’t collect your own apples, for whatever reason, we can usually schedule in a date to come over and do all the work for you. 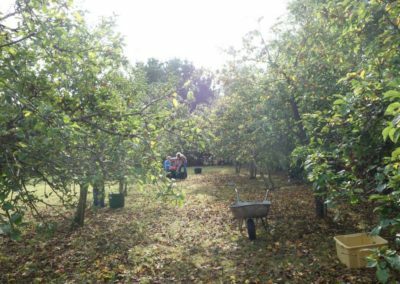 We can process your donated apples into cider or apple juice, and once it’s ready we deliver it back to you all packaged and with a label that shows where the apples were sourced. 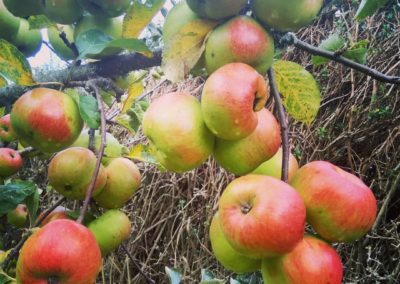 Perfect if you own rental properties, guest houses or small hotels where you can place the cider or apple juice in the property as a gift to your guests. 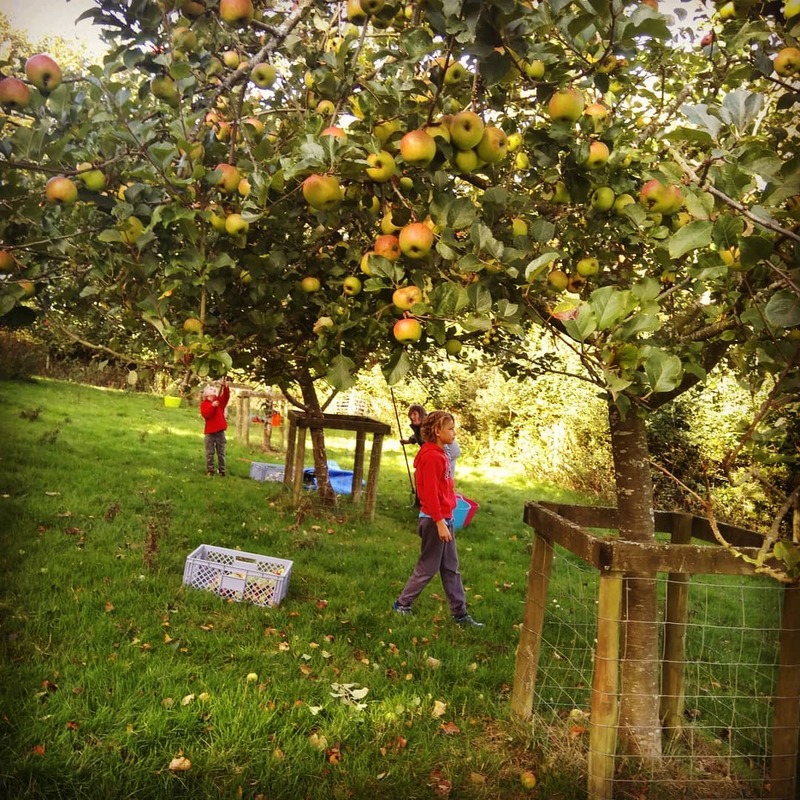 Just some of our many donors from around Cornwall helping us make great traditional cider and apple juice and getting to enjoy the fruits of their orchards. 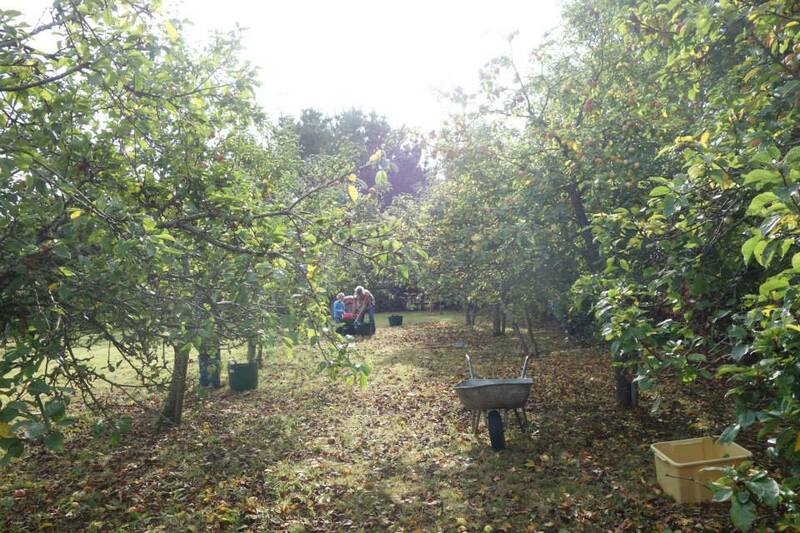 We also welcome volunteer pickers. 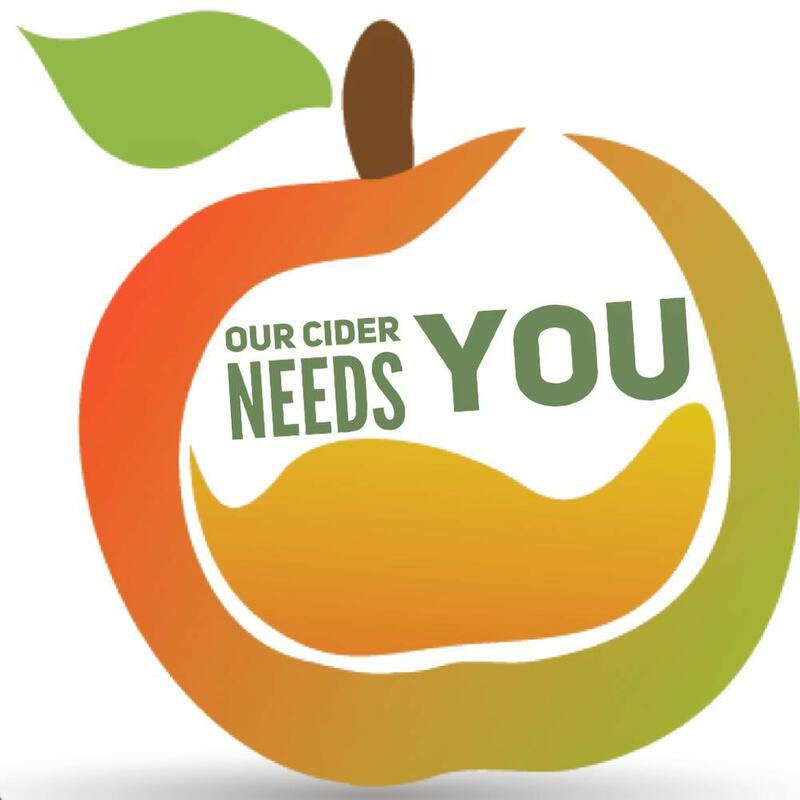 If you feel you can help please get in touch!